Belgium’s position in the north of Europe, just above France and just across the English channel from Britain means that it is an excellent option for anyone looking for a quick getaway. Visiting here gives you the opportunity to relax in one of the continents most laid back nations. It has lots of diversity due to it being adjacent to France, the Netherlands, Luxembourg and Germany. This also means whilst on your visit you can adventure into these different countries and experience many different cultures in one holiday. 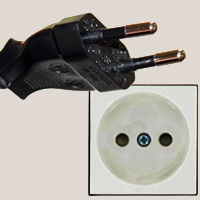 In Belgium the plug sockets used are type C / E, the following pictures show the outlets and plugs needed. 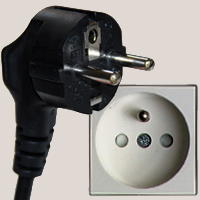 When traveling from the UK you will need an adapter for types C / E.
What voltage & frequency is used in Belgium? In Belgium, the standard voltage is 230 V and the frequency is 50 Hz. This means you will be able to use all of your normal appliances in Belgium as the voltage is exactly the same as in the UK, making your journey much easier. On this note, it is important to make sure you do check your appliances to confirm this is the case. Many appliances can be used across the world as they include a converter, this will be noted on the label showing ‘INPUT 100-240V, 50/60Hz’ meaning it can be used anywhere in the world. Most products such as laptop chargers, tablet chargers, cameras, phones, and toothbrushes are included in this category, but please do a double check.